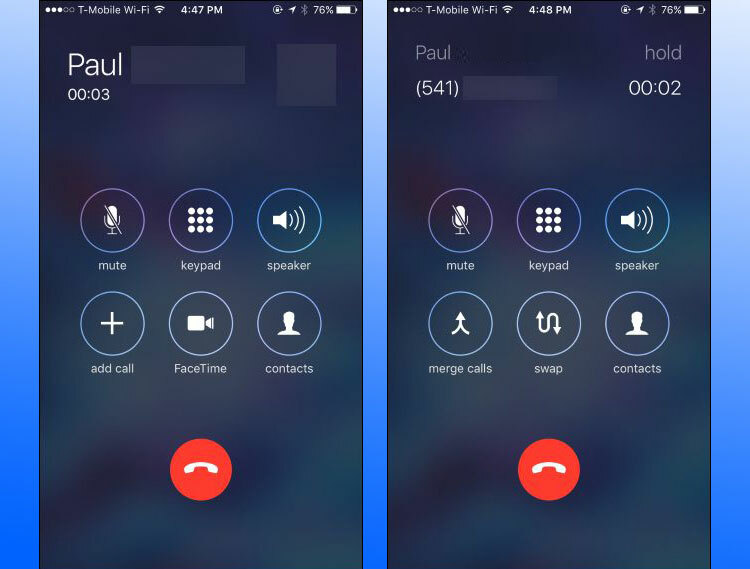 Want to learn how to make conference call on iPhone 7 Plus, 7, 6, 6S, SE, 5, 5C, 5S or 4S? You can add 5 people on iPhone to a call. Read on to know how you can do that on your iPhone today. Begin the call by using the Dialer app to call one of the participants. Tell him/her you’re going to add more members to the call. Within the call, tap “Add Call”. The second call will begin and the first call will go on hold. Dial the second contact’s number. When the second person picks up, the first call goes on hold and the second one shows as active beneath it. The names of people will be displayed, or phone numbers if there are no names. So continuing to learn how to make conference call on iPhone, tap “Merge calls”, and you’ll be in a conference call with the other two participants. Repeat the process when you want to add more members. 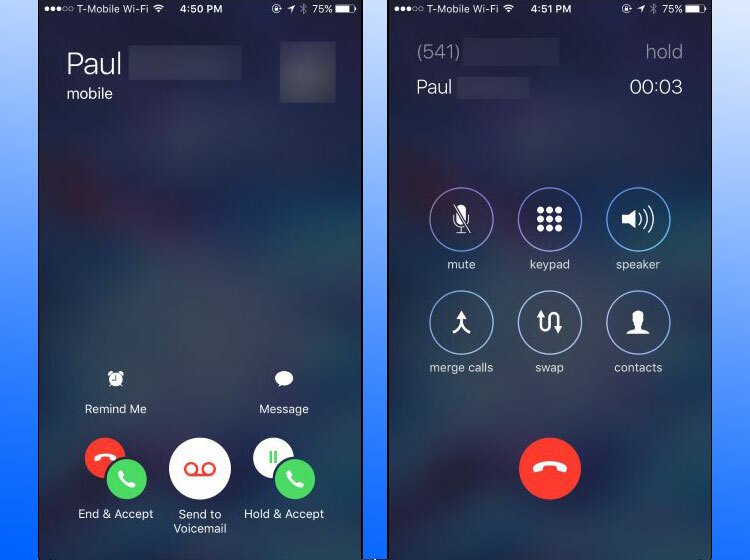 Tap “Add call”, dial a number, and press “Merge calls” when they answer. Up to 5 people can be added. Also, while finding your way through how to make a conference call on iPhone, you should know that you can tap “Hold & Accept” when you receive an incoming call during the conference call. You can then answer the incoming phone. Also, if you want to add the incoming caller to the conversation, just tap “Merge calls”. If you tap “End & Accept”, iPhone ends the new call but ends the conference call. You can alternatively tap “Send to Voicemail”. Tap “i” in blue during the conference call to see the participant the session. Tap “End” if you want to remove someone from the conference. Tap “private” if you want to talk in private with someone. Tap “Merge call” to end the private call and add that member to the conference again. The private button works on some cellular networks and may not be available in WiFi calling. 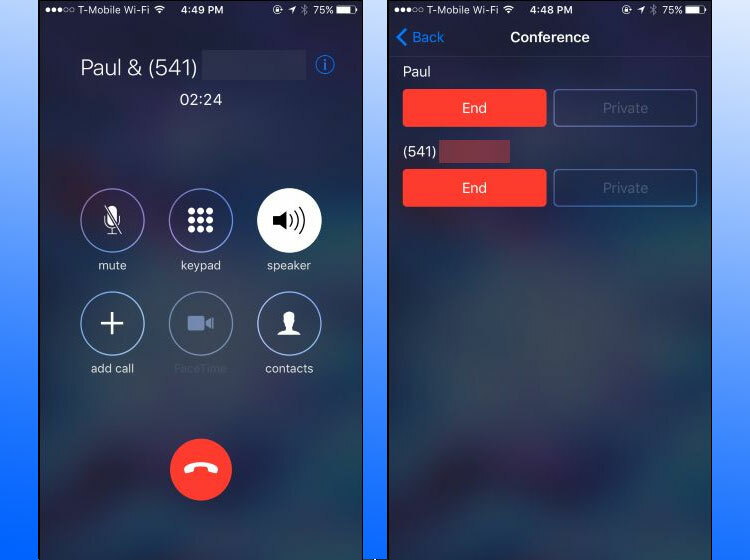 Tap “Mute” to mute voice during the conference call. You can then hear others speak, but they won’t be able to hear you. You can unmute them by tapping the button again. You can enable speaker mode by tapping “Speaker”. The main user can use other apps and leave the call screen. Also, when speaker mode is activated, press “home” button to use other apps. You can also return to the call anytime by pressing “Touch to return to call”. The “hang up” button can be tapped when you want to hang up on everyone at the end. 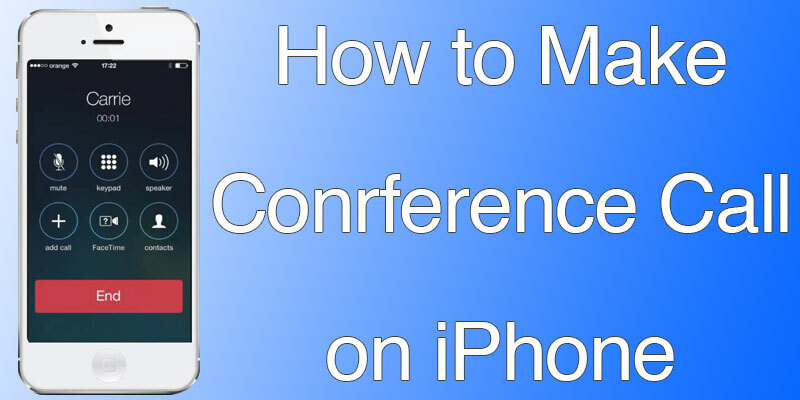 Now you know how to make conference call on iPhone. Feel free to leave comments.